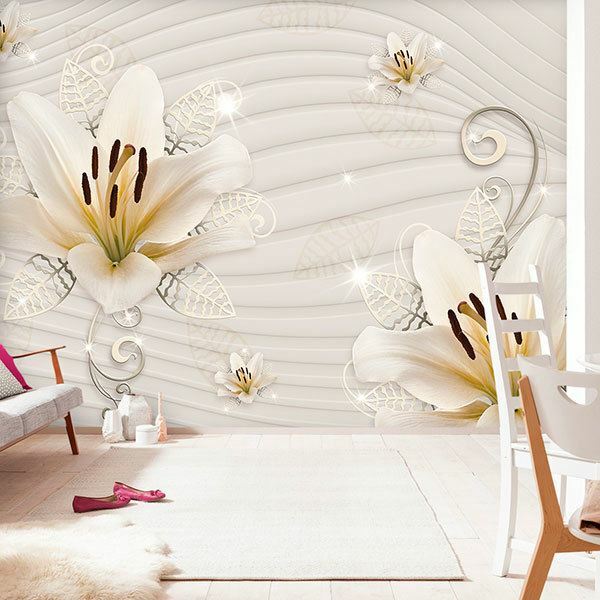 Wall mural Lilies with silver. 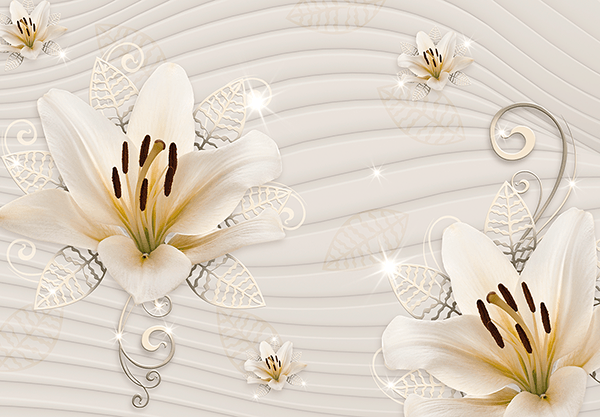 Fabulous combination of white lilies with silver leaves and ornaments, with a background of waves. 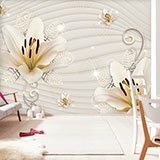 The whole image has a harmony of soft and pleasant colors, fantastic to decorate the wall of a bedroom as a headboard, as well as a jewelry or other business.